Recently, D25 Magnetic Rod or Magnetic tube with more than 14000Gs was developed by advanced process from Mag Spring Workshop. This product will be greatly increase the various magnetic filters (such as hopper magnets, grate magnets, drawer magnets, liquid magnetic traps, Rotatory grate magnets) efficient of removing or extracting super fine ferrous contamination from different powder materials or liquids . The Test results is by Bell Tesla Meter . 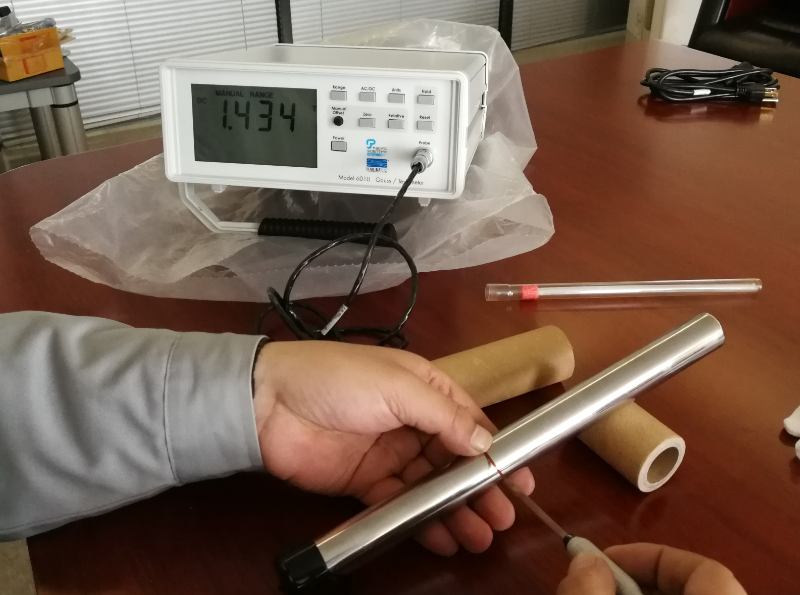 14000Gs Magnetic Tube by Bell Gauss Meter.